Ocean jasper with its unusual colorations is from Madagascar. 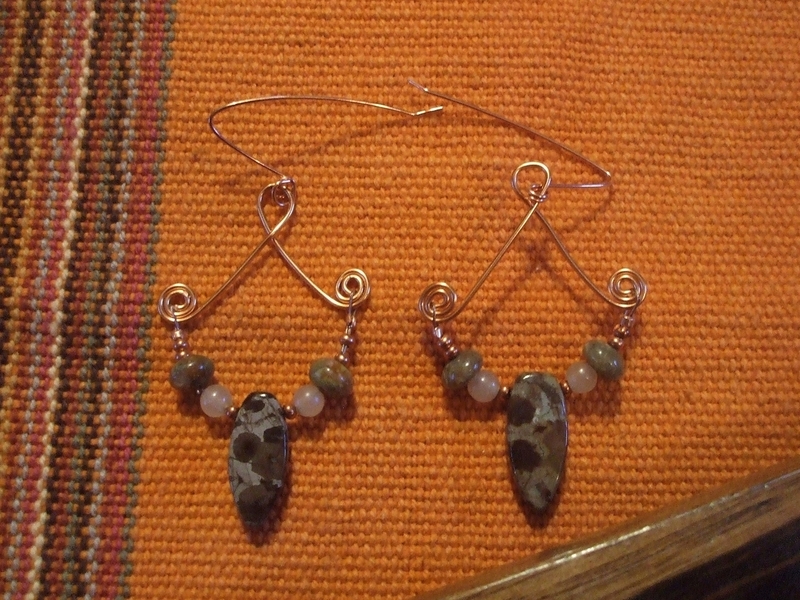 It is accented with small quartz beads and copper swirls. They are 2.25 inches from the top of the handcrafted ear wire.